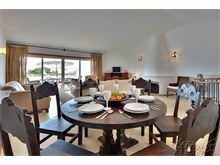 In a much sought-after location, only 100m from the beautiful sandy horse-shoe bay at Luz where there are restaurants, shops, cafes and watersports available, this property is the ideal choice for those not wishing to rely on a car. 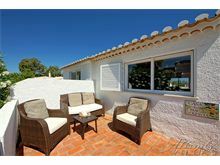 Casa do Mau Golfista is a cottage style property and the accommodation is arranged to take maximum advantage of the sea view from the living areas, with the bedrooms below at pool level. The small pool at the rear is perfect for a refreshing dip and the patio furniture on the terrace provides a great spot for outdoor meals or evening cocktails. The owners respectfully request that guests do not smoke inside the villa. 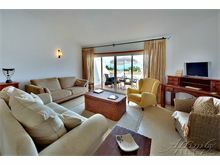 Approximately 100m from the beach, restaurants and shops. Entrance into the kitchen with dishwasher, washing machine, microwave and arch to the sitting/dining room which has TV and a DVD plus an air conditioning unit. 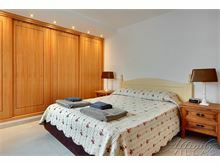 Gated spiral stairs lead down to 1 twin bedroom, 1 shower room, 1 double bedroom, 1 bathroom and 1 twin bedroom with small shower room en suite. 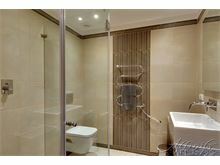 This shower room can also be accessed from the pool area. Maid service once per week with mid-week towel change. Pool heating and air conditioning are available at extra cost, if required. Please note that the water feature into the pool has been disconnected. Please call or email us to enquire about any days that appear available but cannot be booked online. 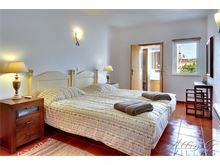 The villa was fabulous, clean, homely and comfy beds too. The swimming pool was a real winner with my youngest son. 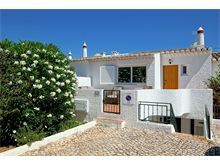 Praia Da Luz is a wonderful, friendly place, and I would go back in a heartbeat. Great location close to facilities. Everything you require for a self catering holiday. Pool is more of a dipping pool than a swimming pool, and it was heated which was lovely. 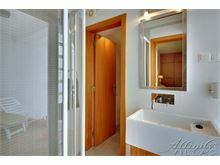 Really impressed with Affinity Villas, from the booking process to the directions on arrival. 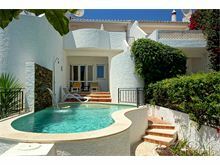 The villa was beautifully clean and well-appointed and perfectly situated for access to all the facilities in Luz, beach, restaurants and shops. The parking space was really nice to leave the car safely as we hardly needed it all week. We would highly recommend the villa. 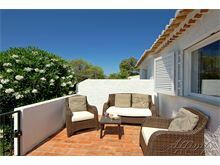 We found Praia da Luz to be charming and thoroughly enjoyed the villa. The villa was lovely and very central. Lovely villa, well equipped & great location with great proximity to the beach, bars, restaurants & shops... lots of super markets on your door too. Villa was clean & tidy & quite modern inside. Lovely lemon & orange trees in the garden with lemons the size of small pumpkins. All in all a nice little villa. 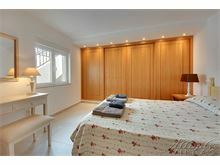 Beautiful villa, well equipped and excellent position. 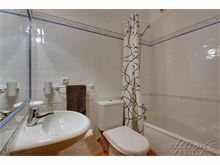 Furnished and decorated to a very high standard. Very comfortable and homely. 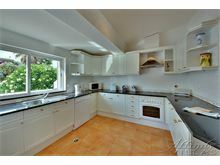 Great location near to beach, supermarkets etc and very quiet (May). Very well equipped and clean. Would highly recommend and will definitely be re-booking. 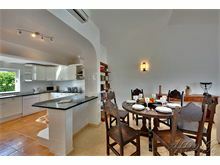 A lovely villa set in an ideal location within walking distance of the beach and all local restaurants/amenities. 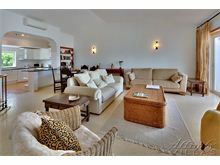 The villa itself is decorated to a good standard and had the wow factor when first arriving. Everything worked as expected and the view just capped it all off. Luz itself is lovely and we enjoyed our stay there, the villa definitely made the holiday. 3rd visit to Casa Do Mau Golfista - That says it all don’t you think ? 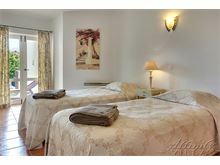 The villa was exactly as described by Affinity Villas and we have no complaints.